Pastunette present this feminine pyjama set which would be a comfortable choice for warmer nights at home or on holidays. 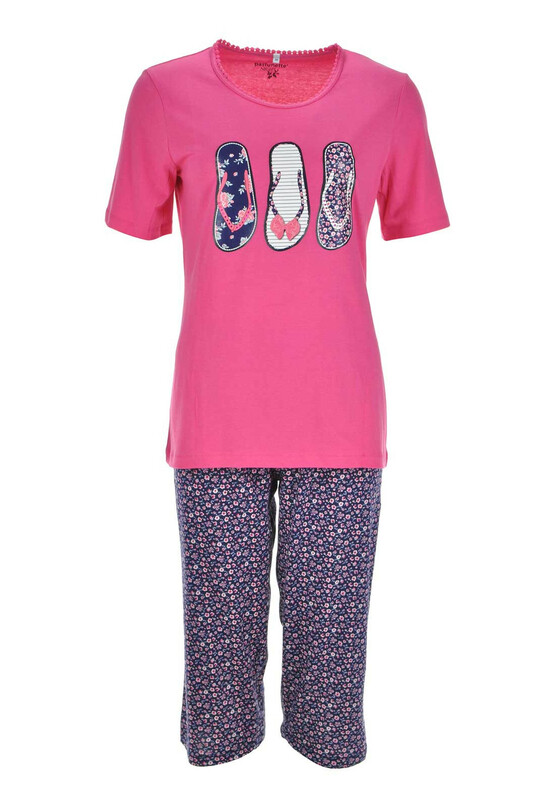 The pink short sleeve pyjama top is made from soft pure cotton and features a floral patterned flip flop print on the front. The cropped leg navy pyjama bottoms have a floral print throughout.